There’s a point in the course of property investment where you have to effectively redesign the assets you buy. It’s a profitable option- If you get it right. You can make a pigsty into a palace, and reap the rewards. If you’re not careful, however, you can buy a mass of costs. Some people are natural renovators- They know how to add value to a property. Renovation, in fact, is arguably a type of small scale development. For investors, however, the transition to developer goes a few stages further. · The investor is basically changing the nature of the asset- Where an old fibro shack used to be will be a luxury apartment block, for example. · The investor is changing the capital structure of the investment- This is where the real money is made, drastically upgrading the asset value. So- How do you become a developer? Developers are really a different class of property investor. They approach making money from their investment propertiesdifferently. Instead of waiting for a value for a property, they create a value for it. · Developer buys a property for $1 million. · Developer sells townhouses for $1 million each within 1 year of purchase. That’s a 150% profit on net outlays. If the developer had capital of $2 million to start with, it’s also an income of $3 million per year. Not bad, is it? If you’re thinking that this developer probably earned the original capital from property investment, you’re right. 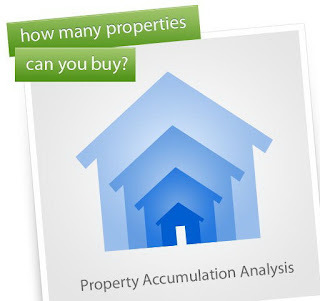 The property market allows rapid accumulation of capital. The initial capital was probably a mortgage, with 10% of the original capital of the purchase as the initial financial commitment. Some people are extremely talented developers. They produce very high quality developments, which are in turn good investment opportunities for others. This in turn builds capital values in the market, providing funds for more investment. Some developers are so efficient that they’re essentially self-funding. This is great business management, and it also means they keep all the profits, not owing any debts. If they want funding, they usually cover most of the development and minimize the inputs of creditors. This means that they also minimize risk and exposure to debt issues. They have a debt covered before they borrow. Developers get a lot of flak, but you rarely hear about their positive contributions through their type of property investing. They’re the ones who tear down the eyesores and reinvent land usage in old industrial areas. They’re the ones who build the new smart buildings designed for this century, not two centuries ago. They’re also major drivers of property market capital. If you want to become a developer, get some property investment advice and study how they operate and what they produce. You’ll find it both fascinating and a very good road map for your future property investment career.